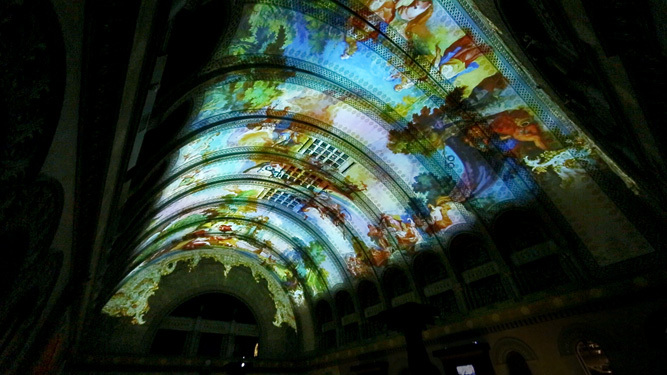 The “Grand Hall Experience” at the St. Louis Union Station is the largest permanently installed indoor immersive projection mapping show in the United States. 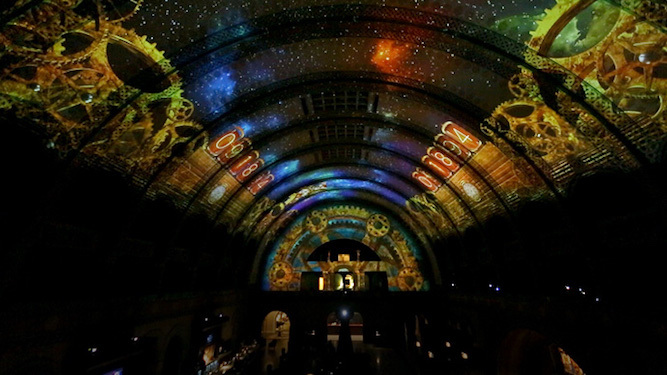 Featuring full 12K+ imagery spanning the original 1894 barrel ceiling, 10.1 surround sound system, LED accent lighting, automated control system and all newly created media. Guests experience a dynamic range of shows throughout the evening. Each show consists of three to ten “vignettes” all custom produced for the show and range from local historical facts (narrated by St. Louis natives John Hamm and John Goodman). 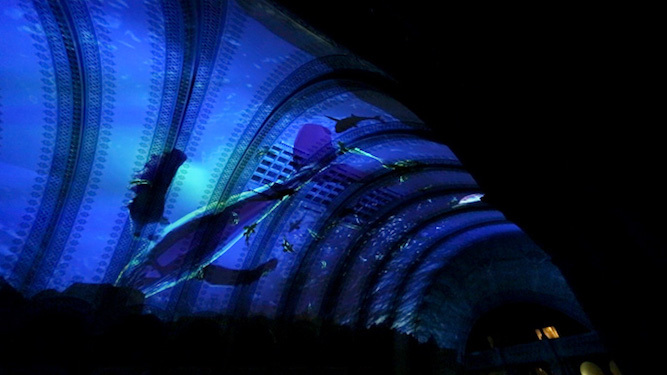 This project received the 2015 THEA Awards for Outstanding Achievement Live Show and the IAAPA Brass Ring Award for Show Production and Entertainment/Displays and Sets.